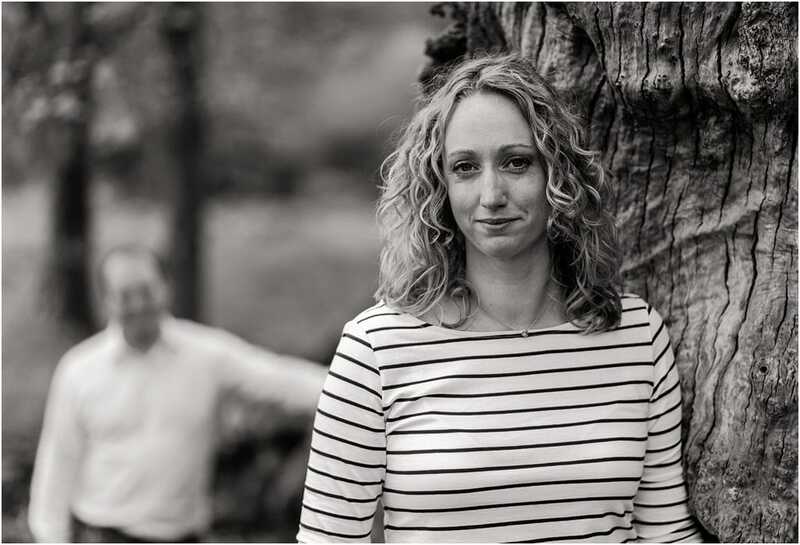 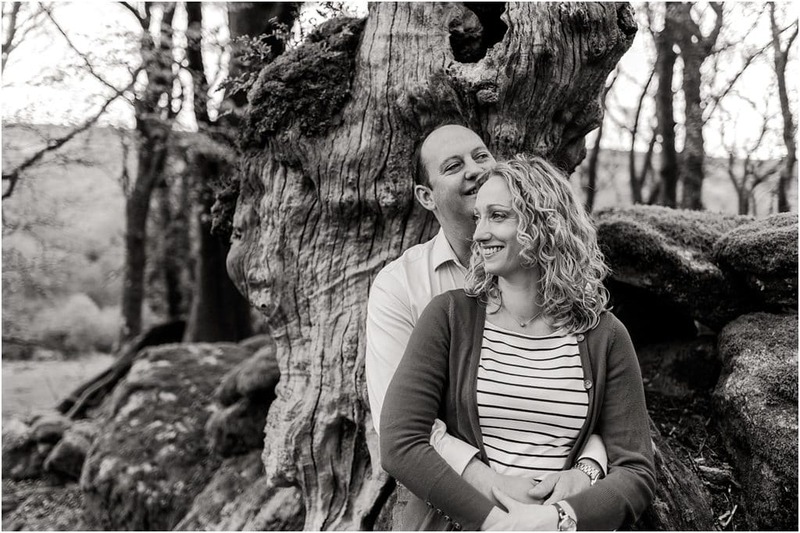 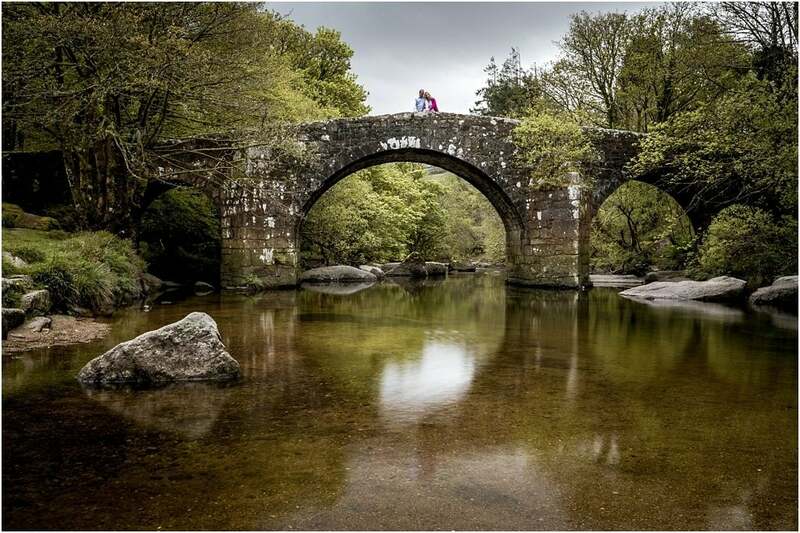 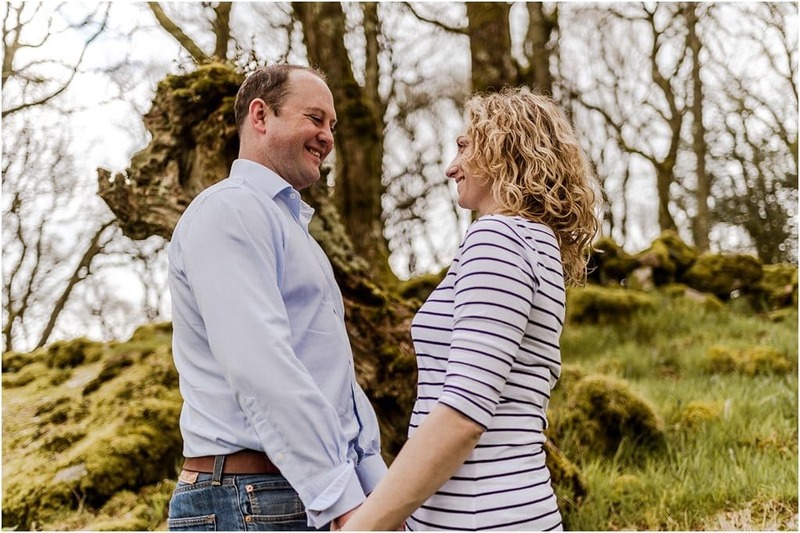 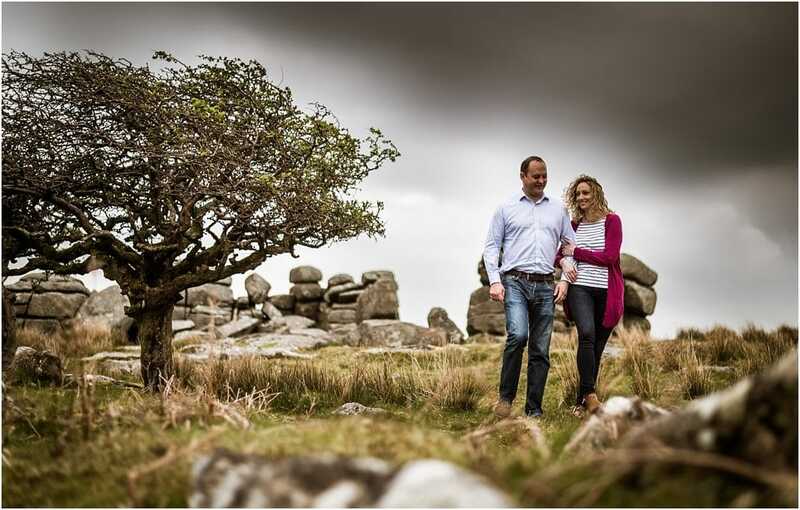 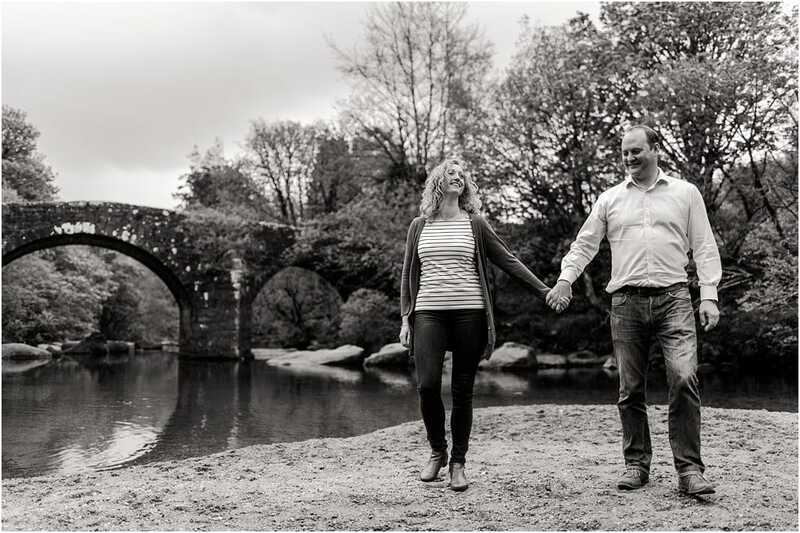 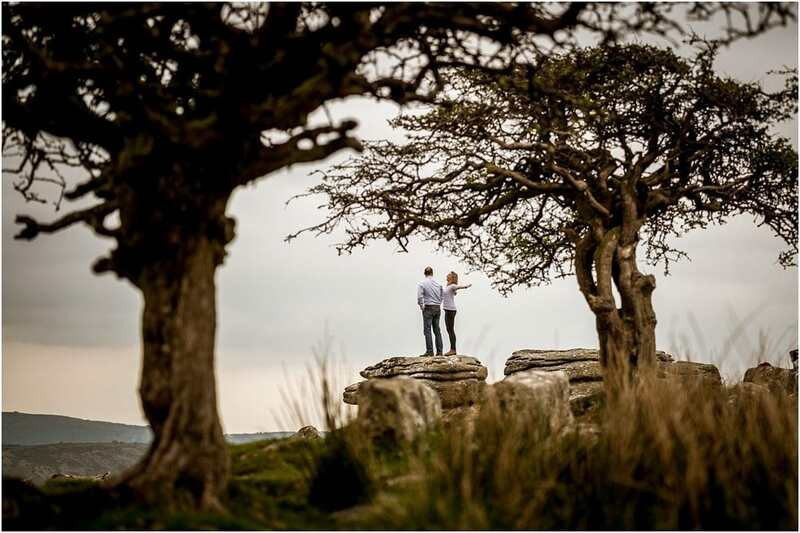 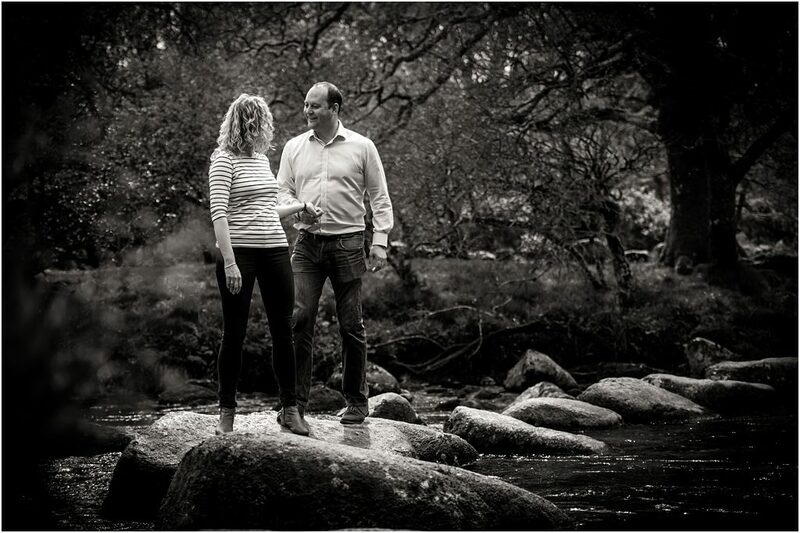 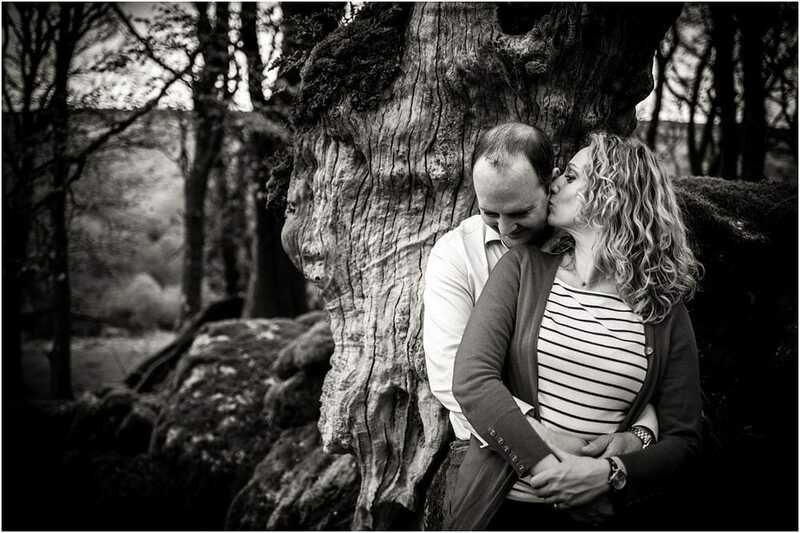 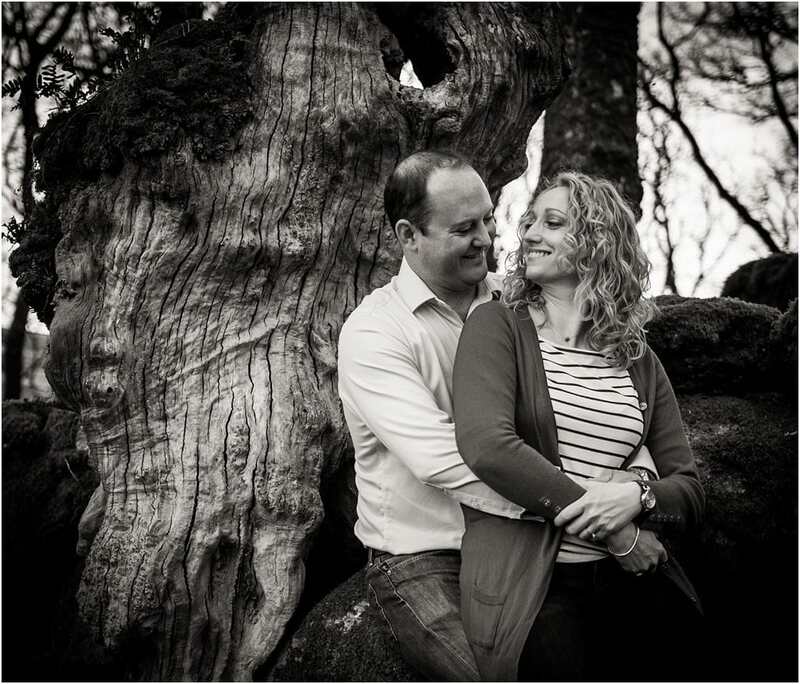 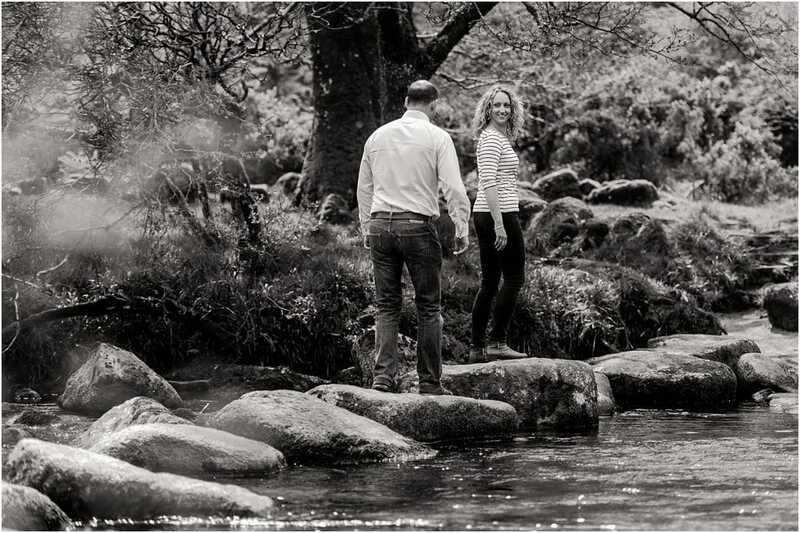 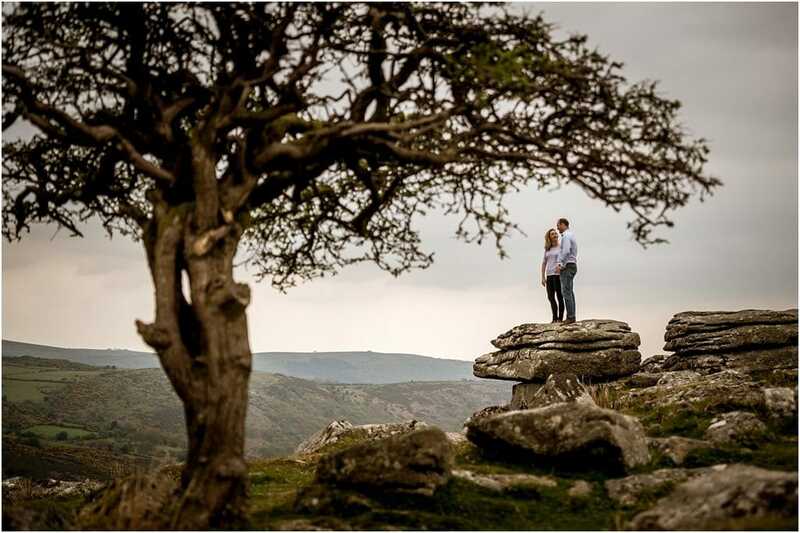 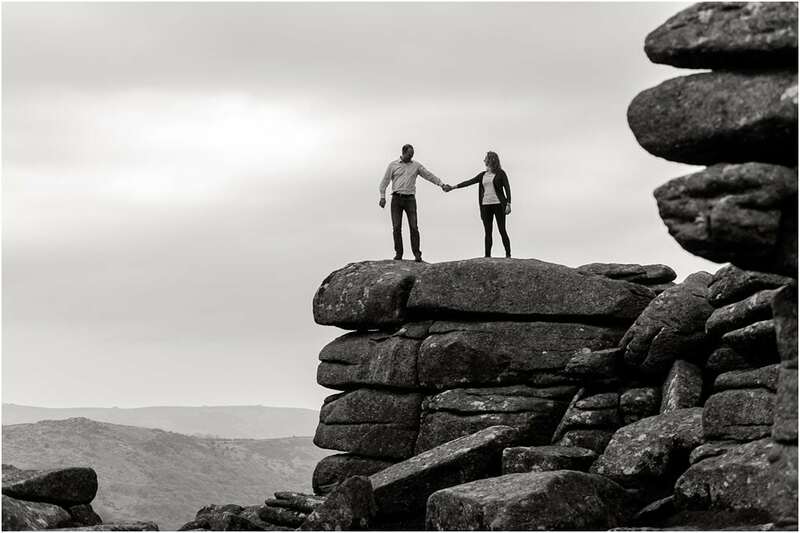 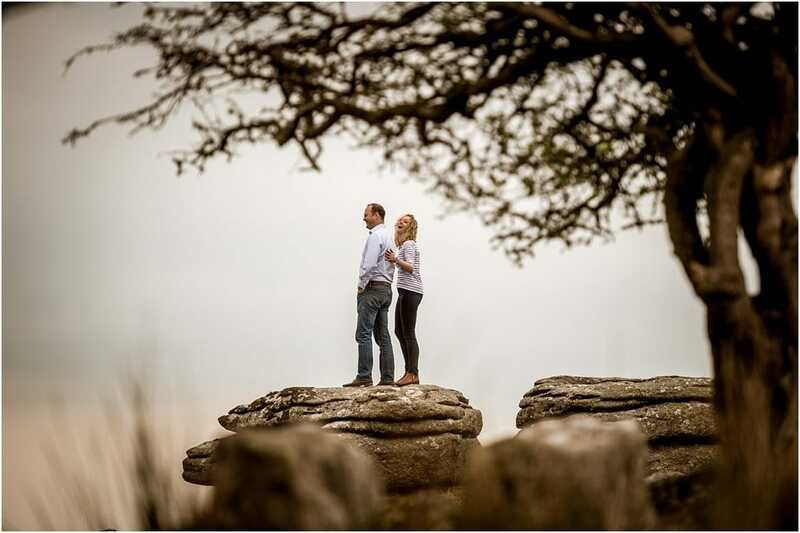 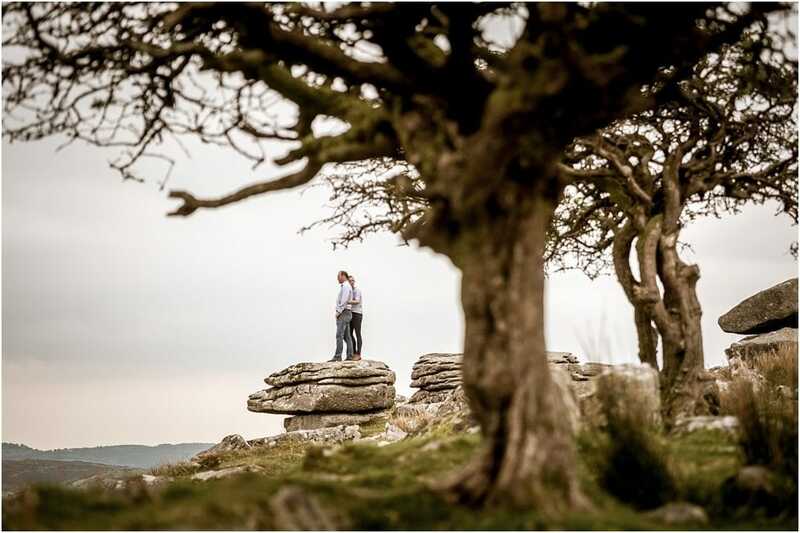 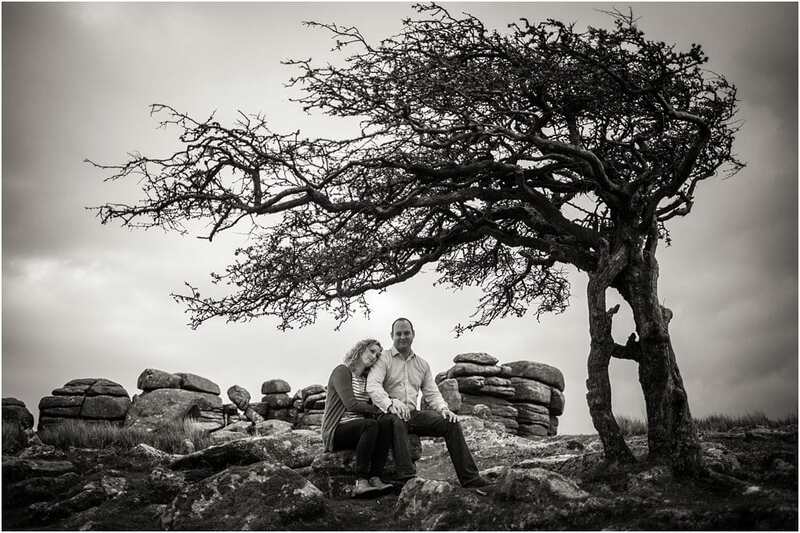 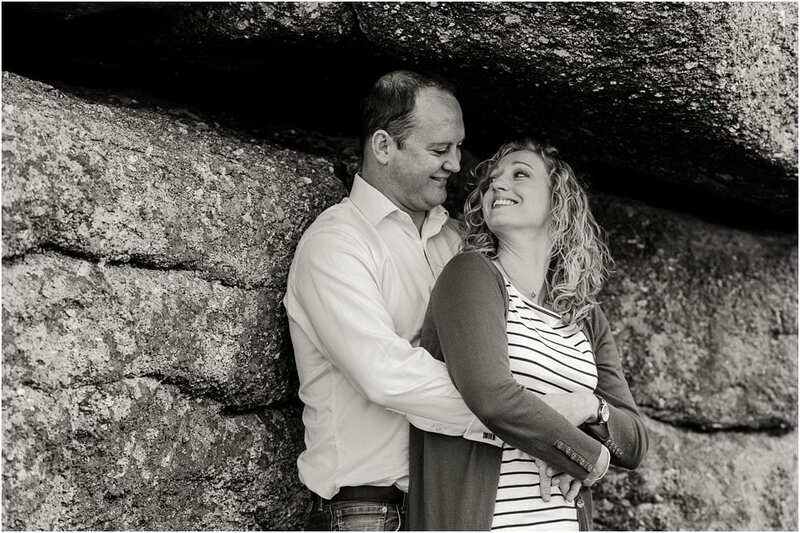 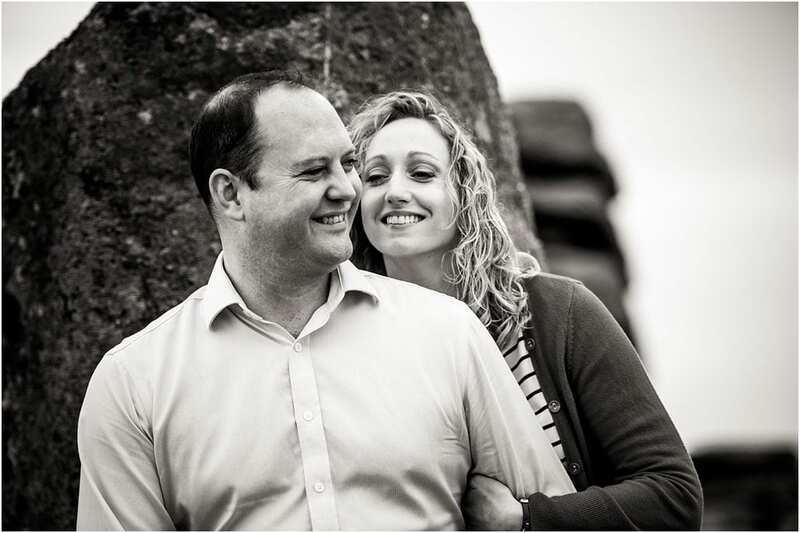 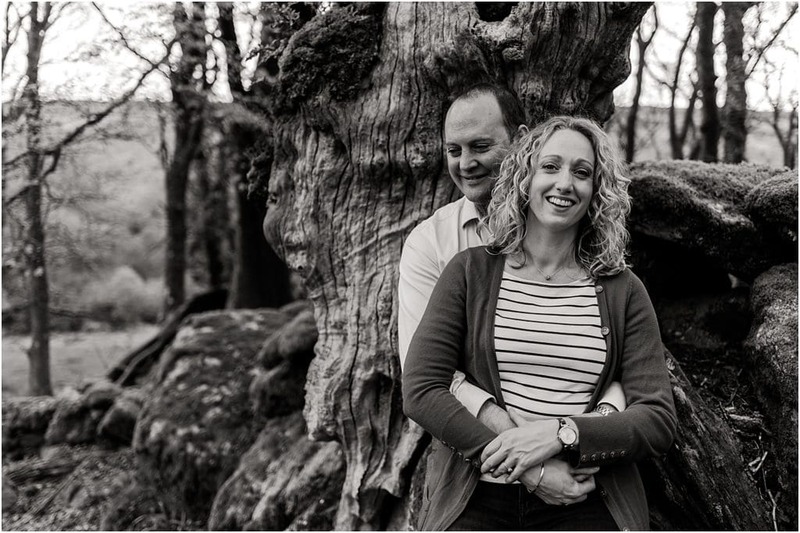 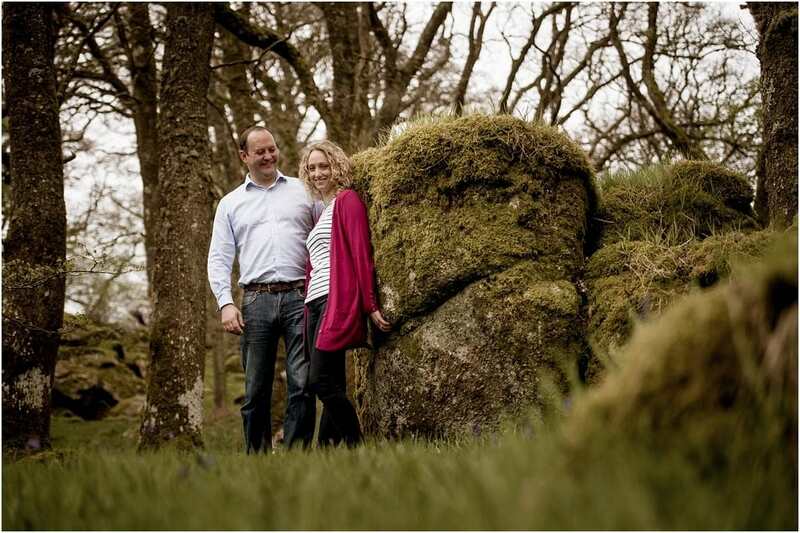 Kristi and Oli are getting married at Sopley Mill in Dorset in September this year, however due to family connections they wanted to have their engagement shoot before the wedding up on the wilds of Dartmoor in Devon, which was the perfect location! 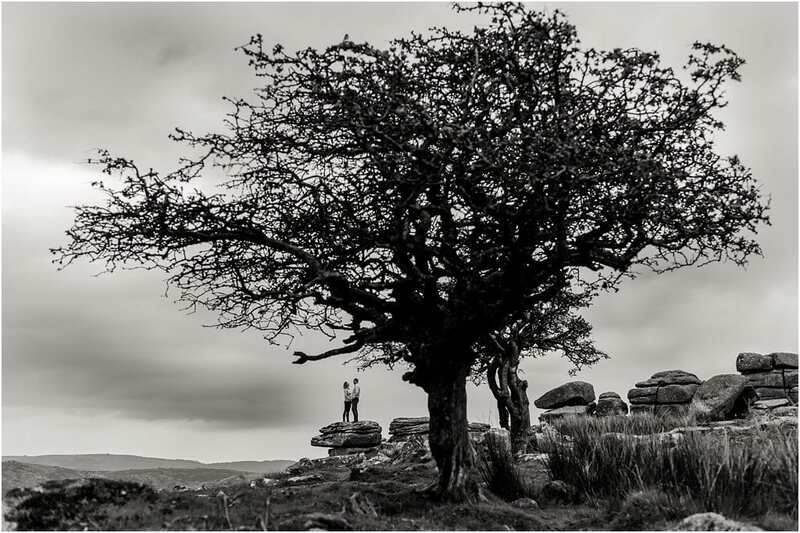 Up at Combestone Tor, near Dartmeet, the Granite tors stand majestically overlooking the moors, with wind wizened hawthorn trees standing firm against the wind. 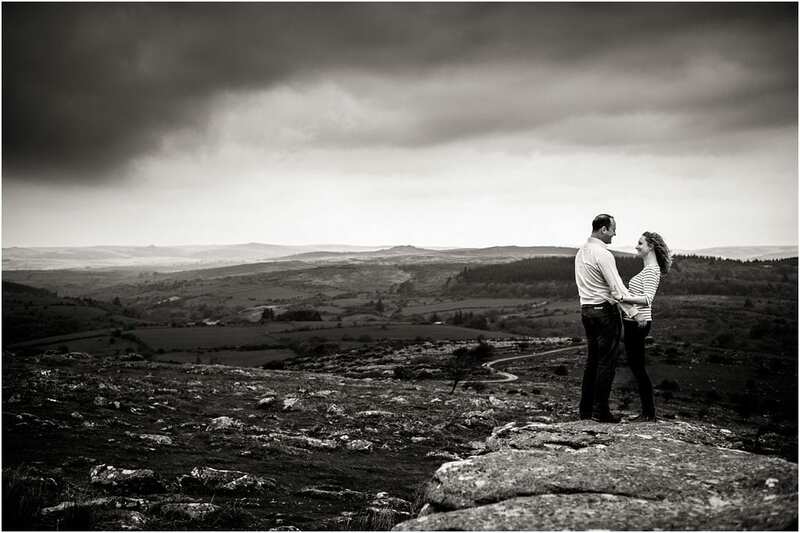 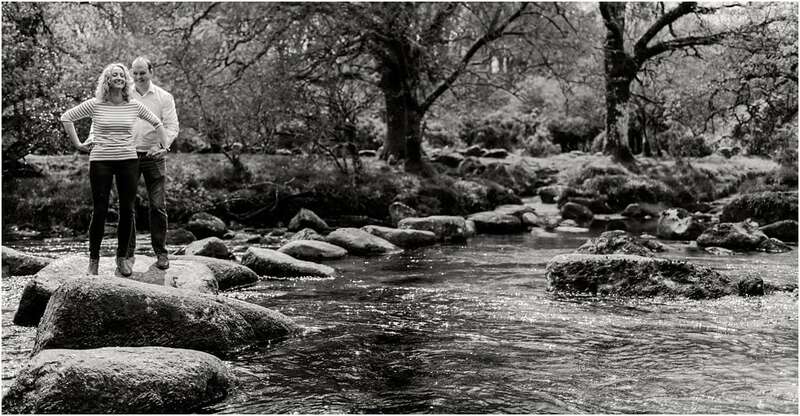 It was a grey and moody day which was perfect, almost adding a Poldark-esque feel to the shoot. 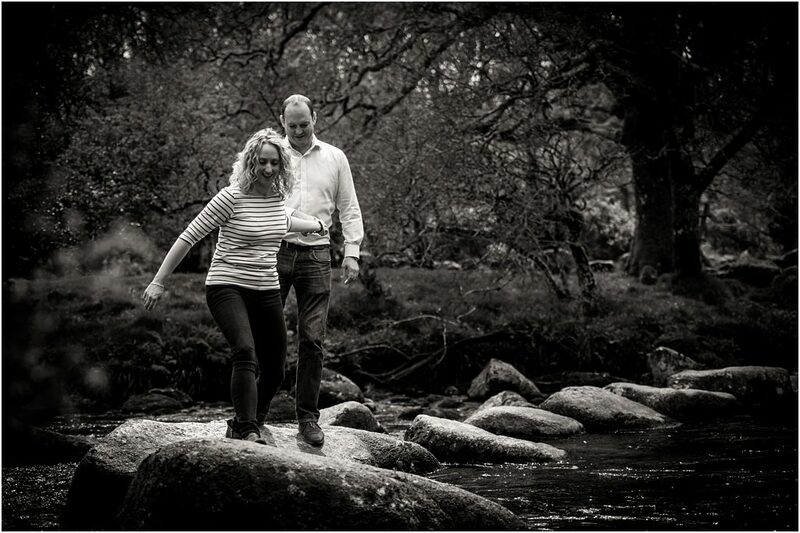 We then popped down to Hexworthy bridge for more shots by the river, before finishing up on the Dartmeet stepping stones. 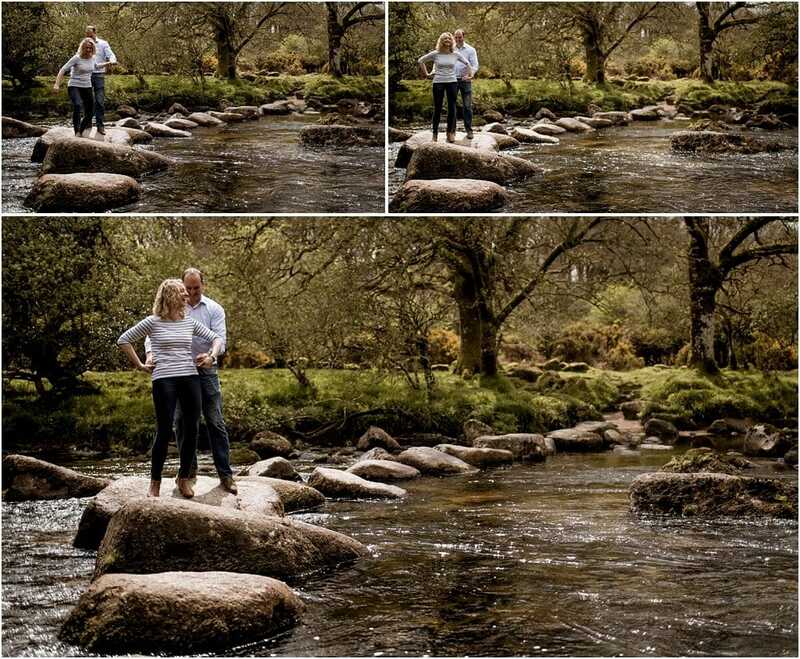 This gave us a great variety to the shoot, I love shooting couples in wide open landscapes, adding the majesty of nature, and features such as stepping stones add dynamic energy and purely natural unposed moments.